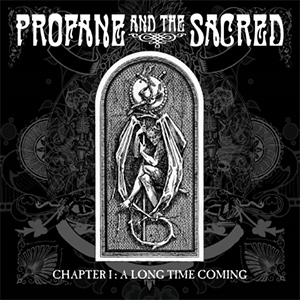 ‘Chapter 1 : A Long Time Coming’ is the debut studio album by stoner rock band PROFANE AND THE SACRED. 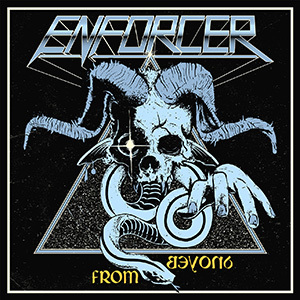 Featuring gigantic doom laden riffs that unashamedly smother you in nostalgia but waste no time in lacing prog tinged instrumental breakdowns into a 9 song musical journey. Showcasing time progressions that shift gears but never let up on the momentum - allowing the rapsy, gritty vocals of singer Luke Alleeson to cover the organic soundtrack. 'A Long Time Coming' is an album specifically recorded to sound alive and not manipulated to the point of sounding ‘cookie cut’ - the warm acoustic notes of album opener ‘Bench’ gives way to down tuned riffing with ‘Bleed That Stone’ and ‘You Know’ demonstrating the armoury of this band. First single ‘From The Top’ showcases Profane And The Sacred in a 5 minute classic stoner rock track, with the latest single 'Words' demonstrating fast pace and groove that hits you right between the eyes during its chorus. The subtle tones of closer ‘A New Leaf’ captures the melodic side, with keyboards, acoustic and bass complimenting each other in this instrumental piece, leaving the listener in a soothing, melancholy reflective mood. 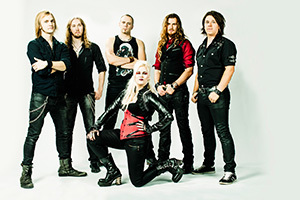 Hailing from the southern edge of Finland, BATTLE BEAST were founded in 2008 and soon established themselves with their trademark of pure crunching riffs, high screams, blistering solos and strong choruses. Taking the best elements of traditional heavy metal, the sextet is never afraid to add its own flavour to the recipe. 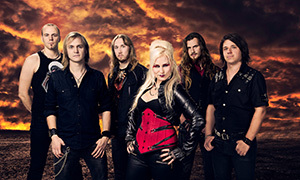 After winning the 2010 Wacken Open Air “Metal Battle”, and shortly after Finland’s “Radio Rock Starba” competition, BATTLE BEAST soon caught the attention of Nuclear Blast. 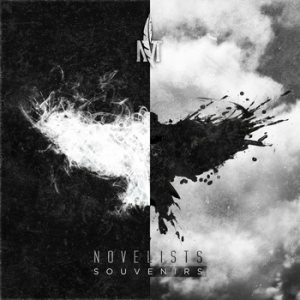 The worldwide release of the highly acclaimed debut album »Steel« in January of 2012 and a successful support tour with fellow Finns and label mates NIGHTWISH followed. 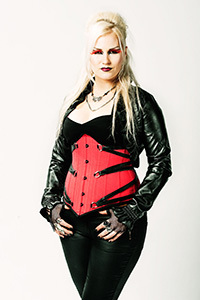 September 2012 saw the original singer, Nitte Valo, leaving the band, to be replaced by a beautiful new front beast Noora Louhimo as they embarked on a tour with SONATA ARCTICA. 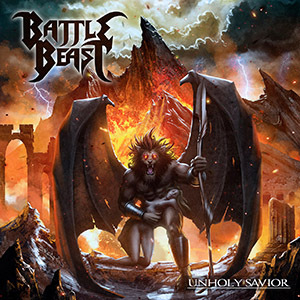 With the refreshed line-up and an ever-growing hunger, BATTLE BEAST continued their march of success with their eponymous sophomore release in May 2013. Following the success of »Battle Beast«, charting at an amazing #5 in their native Finland and cracking the German Top 100, the band embarked on an extended European tour alongside German metal band POWERWOLF in late 2013 and then hit the road in Sweden and Norway opening for German metal institution U.D.O. Having spent the year playing headlining shows in their native Finland, as well as invading some of the biggest festivals in 2014 (among them the renowned Loud Park in Japan, German Metalfest and Sabaton Open Air in Falun, Sweden), plus supporting their German labelmates ACCEPT during their Finland tour in September, BATTLE BEAST now return to what they do best: to take it to the next level! “I thirst to go further as a human being and the music on this album represents a part of the ongoing spiritual journey - that's what I tend to I call it - which is my road onward. Music-wise the songs have been expanded to a wider area as an effort to call out emotions close to those I myself had during the times of birth of these songs,” commented guitarist & vocalist Anton Kabanen about the upcoming new BATTLE BEAST album. 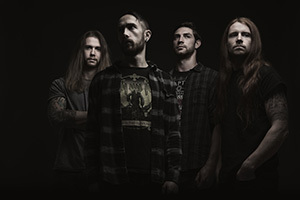 »Unholy Savior« has been influenced by everything the band has been facing during the past months and clearly displays their increased hunger to succeed as a band. Trying to explain the topics of the third BATTLE BEAST record, one will have to go deeper as the songs lyrics were born through an emotionally violent and bloody struggle, that main composer Anton Kabanen was going through at the time: Questioning his whole existence step by step, wondering if his dream had betrayed him. »Unholy Savior« reeks of death, agony, pain, hate, confusion, fear and insecurity, but it speaks of deep gratitude, longing, consolation and love. “The album had to be done this way - through emotional hell. Having transferred these "things" and emotions into songs I feel that I'm ready to move on. But like always, I wrote songs about the series "Berserk", as well, and the reason behind writing songs about that particular series is that I can strongly relate to that, especially to certain characters and to their way of thinking and feeling,” Anton adds. 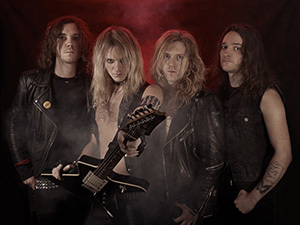 While with their previous album the young Finns did all the recording, producing and mixing themselves, »Unholy Savior« was produced by Anton Kabanen and co-produced by keyboardist Janne Björkroth and mixed by Matias Kupiainen at 5by5 Studios. Mastering was once again done by Mika Jussila at Finnvox Studios and the actual recordings took place at Sound Quest Studio and JKB Studios. 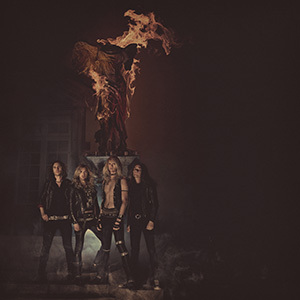 »Unholy Savior« will be released on January 09, 2015. On the very same day BATTLE BEAST will return to the European roads, along with the band that has been supporting them since day one. Swedish metal heroes SABATON did not only invite the band to play at their very own Sabaton Open Air, but also featured a cover version of BATTLE BEAST’s ‘Out Of Control’ as a bonus track on their current charting success »Heroes«. Prepare yourselves for the return of the beast! 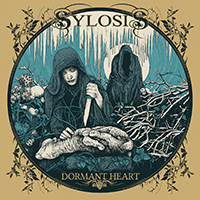 'Dormant’ is not a word that you can associate with Reading’s metallers SYLOSIS – the band who have in the past few years alone toured with LAMB OF GOD, KILLSWITCH ENGAGE, DEVIL DRIVER and TRIVIUM. As well as playing huge festivals across the globe such as Sonisphere, Wacken, Graspop and Pukkelpop.